Is she spinning clockwise or counterclockwise? 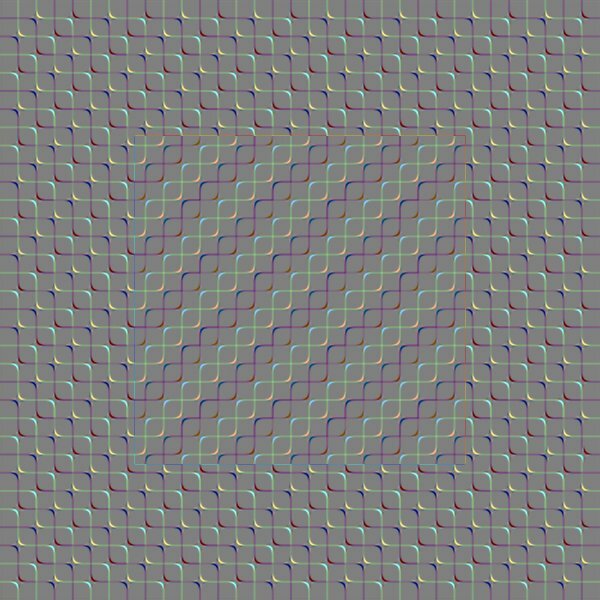 Focus on the left image below for a few seconds, and then up at my prior post. Now, focus on the right image below for a few seconds, and then at my prior post. I'll start with this one. Reminds me how amazing some are to make pictures. 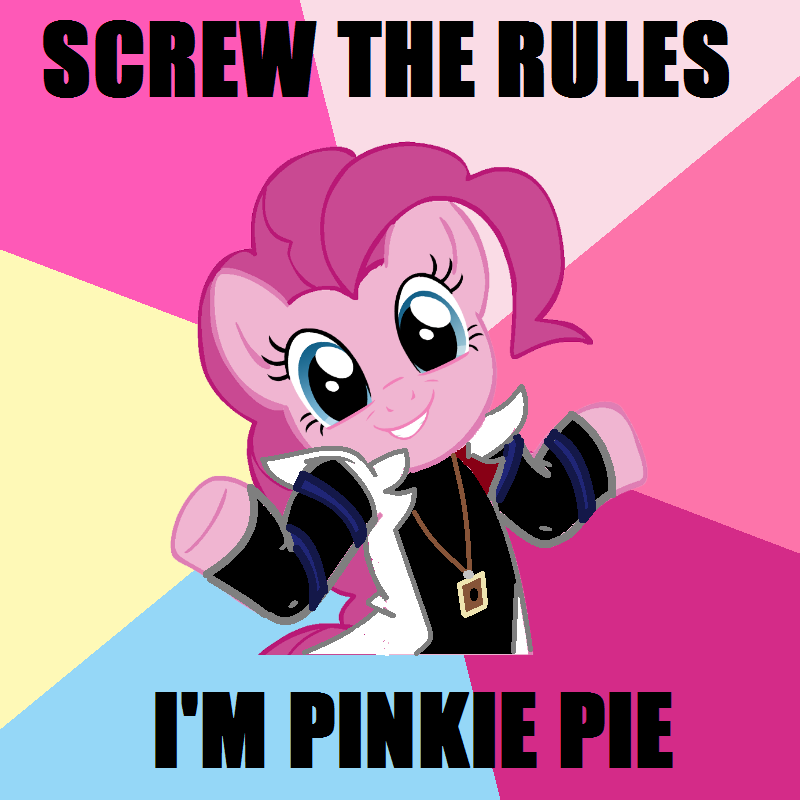 Or say in a game where you have to answer yes and no questions but if it's yes, you should answer no and vice versa. Especially when there are more than 1 team competing in that game. Like think about the opposite. They are turning at the speed of 0 m/s. Which color is brightest? 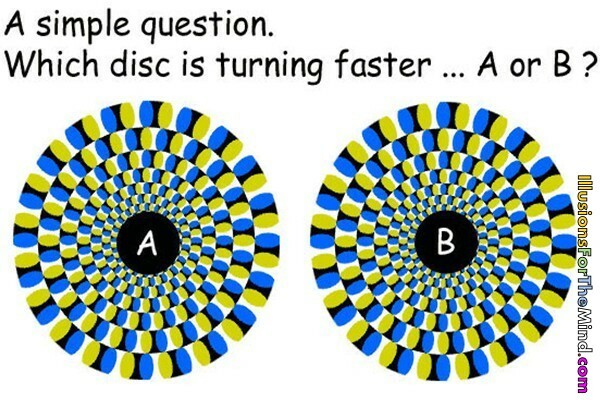 A or B? They're actually the same, but because that green cylinder is there, our minds automatically generate a shadow. 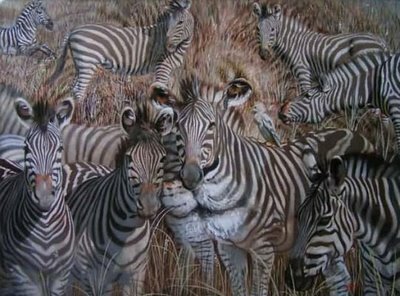 Which different animal do you see? What do you mean our minds automatically generate a shadow? Isn't that just drawn into the picture? You didn't fall for my trick. I may find some other illusion that are not overused. What is this meant to do? If you haven't played World of Tanks, you'll never know. Ever. Now I see what you mean. There are 2 pictures constantly changing which makes it feel like a grid. I don't recognise the faux frog image, but I do recognise the parrot image. Its actually a woman posing. You can see the outline of her head if you look close enough at the parrots head, especially around that white patch of feathers. Yeah I can see. 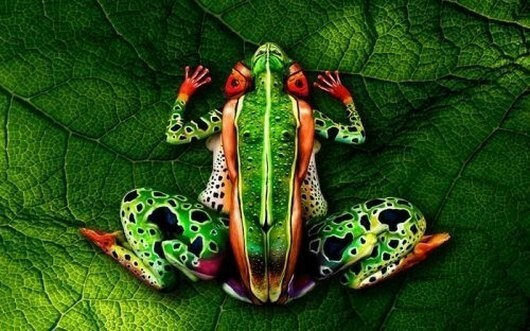 It appears to be two people posed back to back and painted carefully to create the illusion of a frog. It looks to me like there's a third person in the middle of the frog picture. Hmm, I think you might be right. You must have better eyesight than me lol cause I thought it was just 2 people. The frog I know is several people, but it kinda looks like a single vag to me. It's 5 people with body paint. Each of the 4 limbs and the head are from a different painted model. According to the source article, there's no retouching. Just really painstaking body painting. 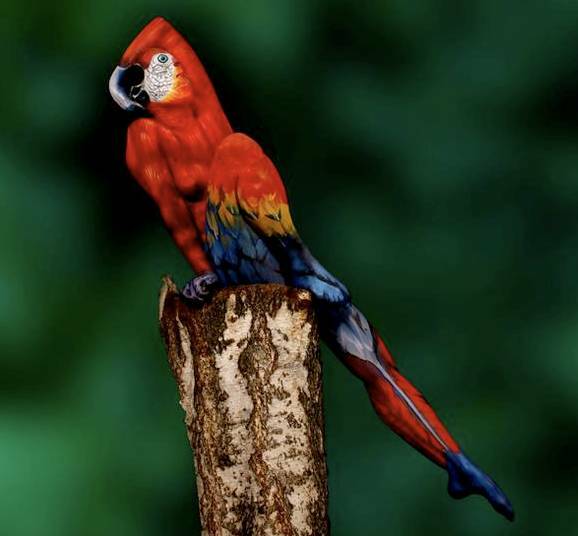 I known the parrot is a lot more obvious, but that one took me a while whereas I got the frog straight away.